My mom’s version ,she doesn’t uses black pepper and jeera,instead she uses red chillies and also she doesn’t add coconut much. So here’s the hybrid. Clean and soak rice and dal for at least 2 hours. Drain water, spread in a clean cotton kitchen towel. First grind pepper and jeera just a little and then add the soaked rice and dal and grind carefully to rawa consistency as shown in the picture. Heat kadai and temper with the items given under the table. Add water and bring to boil. Add grated coconut. In goes ground rice mixture, Mix well. Cook covered in low flame for 4-5 mins.Cook till it absorbs water almost. Add the coconut oil(if desired) and mix well and switch off the stove. After cooling down take desired sized ball and make adai. I made small adais and shaped it with a lid. You can skip this step and make bigger adais as well. I used a polythene sheet and a glove. But for eco friendly and avoiding plastic, use banana leaf, grease bare hands. Grease the surface and hand for each time. Heat a dosa pan and drizzle little oil or ghee and toast these adais in medium flame each side for about 2 mins. Serve with coconut chutney or tangy chutney or coriander chutney the best of all!! You can grind rice,dal ,pepper and jeera to rawa consistency in mill and keep. Whenever you want you can follow the same method(no soaking part) and enjoy! I thoroughly enjoyed these,in fact I could not resist myself eating while i was making adais and also after I made while taking pictures too . Tastes good even if it cools down,so you can make it as a snack for any get together too! Wow, upma adai looks incredible..delicious dear! This is really new to me and for sure interesting hybrid.. will try it for sure.. 🙂 You always present and write things so neatly. keep it up. Sounds new to me, bookemarked will try it sometime soon! Wow..that is a delicious one..looks yummy dear. wonderful recipe..am surely going to try it.. I make upma kozhukkattais. So next time I will make these adais with the upma. Adai looks delicious.. I m not really found of adai's .. but this makes me feel like trying them ! Wow yummy preparation…Its completely a new recipe to me…Beautiful clicks and presentation……..
Raji as u said it is a hybrid for me too because two of our typical breakfast varieties are mixed to make this…looks gr8.. Very new to me, infact heard the first time. But the your awesome clicks has made me bookmark this. delicacies any longer. Lovely adais.Thanks for reminding me of it, i will get around to make it soon. Your adais look superb! creative thinking lovely. I use to make like balls. சூப்பர்ப்…அதுவும் அரைத்து உப்புமா செய்வது நன்றாக இருக்கின்றது.. Very nice one raks…looks so delicious.. Very neatly presented, great recipe! Wow Raks, Nice! I love upma kozhukattai, this is even better! Wonderful presentation too!!! UPma adai is new to me..Sounds gr8!! Loved this very interesting dish. Loved the recipe and presentation too! yummy!!!!!! But of course new to me. Shd try it. Love the click. I like the way you have used the filter coffee cover to make the adais. Raji, now is my dinner time. Your picture make me so.. hungry. New to me and looks yum!! surely try. Pretty much like Kozhukattai but adai seems more crispy and tasty! Very new recipe.. Looks delicious. This will be great as breakfast to make during weekends..
looks nice crispy, very different version of adai indeed; lovely ! Amma made adai and also steam them as kozhukattai. Looks very very delicious. Looks so lovely and wow what a nice write up. 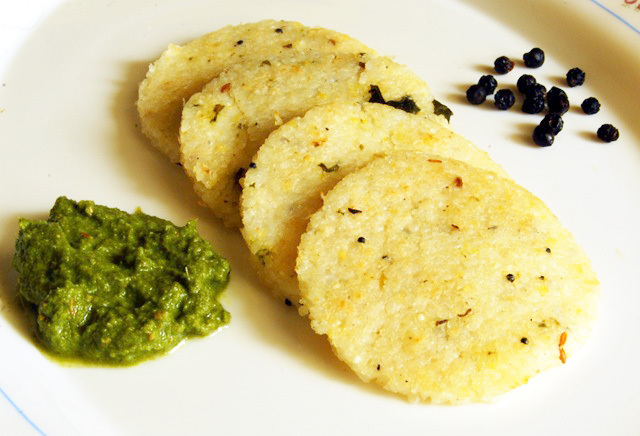 Delicious looking upma adai! !New to me..Sounds great! !As always nice presentation!! Mmm.. looks so new and delicious!!! Oh, we call it arisi adai only…this is sucha nice way to do it. wow! !, awesome.., will definitely try this. This is very new to me.., never heard before. Wow…… superb recipe, looks so yumm. Very innovative Raji, should try it sometime! Something very new and delicious! Ur upma adais are so cute Raks. I've never heard of these before. Makes me want to try them soon. they came out so perfectly rounded..
Looks so yummy, I'll have to try it this weekend. I love your blog, my fave.. so much so that I use it almost on a daily basis. The step-by-step pictures are so amazingly helpful. Upma Adai, enakku puthusu than :)..
Sooper posts, recipes and clicks all over!!!! :)..
nice.. looks very good. i make arisi upma and this one is just 1 step extra. should try. Wow! looks delicious. I must try this. Wow they are so adorable n tempting.Thanks for sharing the recipe.It deserves a try. Yes you can keep refrigerated and make next morning adais. Hi raks this recipee is amazing. We make rice kozhkottai by steaming the mixture in the kadai. Will try making the adais too! Hi, I live abroad and cannot dry after soaking, so can i grind raw rice with toor dhal and pepper in mixie and follow the remaining steps or soaking is must? You can skip soaking then.